If there’s one reason to go to Hammersmith, it’s the not-so-hidden gem Toro Gordo. As soon as you step inside off the (let’s face it) rather grim high street, you’re greeted by a dimly lit, delicious smelling and flora-filled interior. Although a Spanish restaurant, the extensive tapas menu has a Japanese influence and you’ll often spot the odd soy or wasabi flavour thrown into the mix. The seared Tataki tuna is done to perfection – rare, flavoursome and falls apart on your tongue. The dishes more firmly rooted in Spain are done equally as well; they have a daily changing selection of homemade croquettes and they get the balance between creaminess and potato balance right. If you’re a fan of prawns, Toro Gordo’s come thick, juicy and sizzling in garlic. 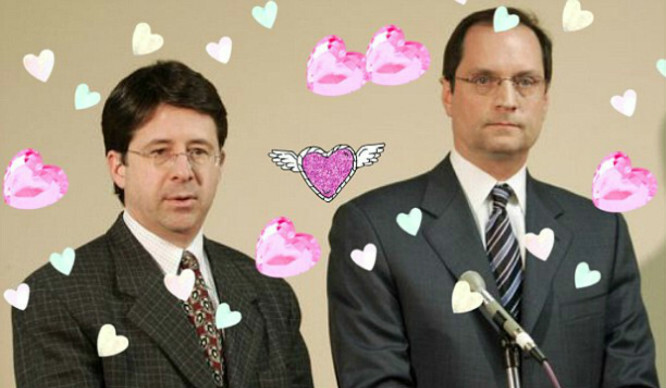 Just as they should be. 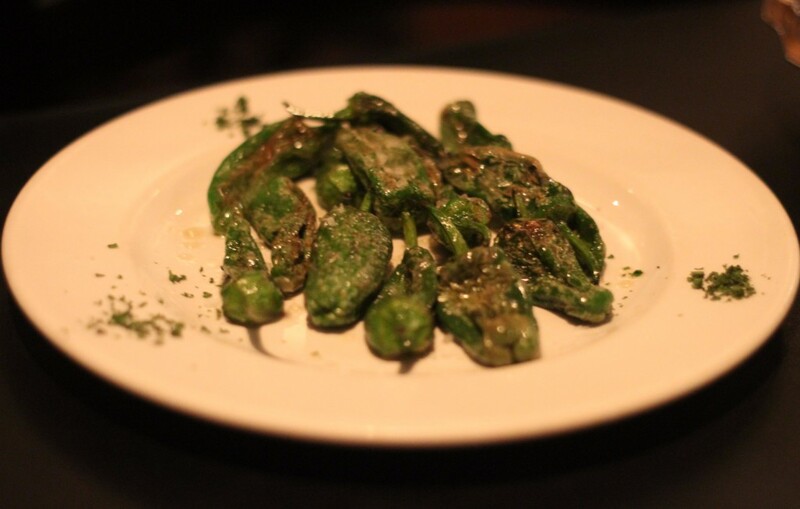 And the Padron peppers make the perfect extra for a bit of green nibbling. Choosing what to drink is equally as tricky as choosing your food. As well having a tempting cocktail selection, the various Sangria concoctions prove irresistible. Although perhaps a little high in terms of price at £34 for a jug, the Cava Sangria is fully-loaded with Cava, white rum and Cointreau, yet the lemon juice and orange syrup ensure it tastes like some delicious juice – a deadly concoction on a weekday night. The team behind 100 Hoxton opened up this new joint back in June, serving up delectable small plates with a heavy Asian influence. The restaurant itself is very laid back, with little decorative quirks (there’s a fish in a TV set). The menu, which is mainly gluten free, is wonderfully varied. There’s an abundance of flavour-packed fish and meat dishes, as well as creative vegetarian options. The courgette and halloumi fritters are a particular favourite, as well as the braised octopus, which simply melts away in your mouth and leaves you wanting more. 100 Islington’s menu is definitely catered for meat lovers – they team beautifully cooked meats with sensational flavours. 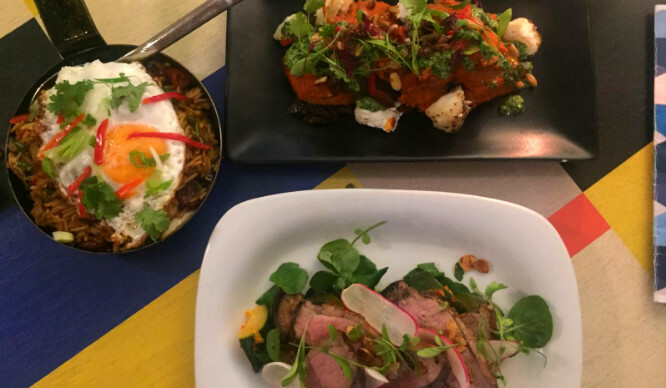 The pan fried duck breast is paired with almond beer butter and kimchi, while the chargrilled lamb belly is served with aubergine and burnt goat’s cheese, with a Middle Eastern flavour coming through the green tahini and harissa. The cocktails are certainly not to be missed. 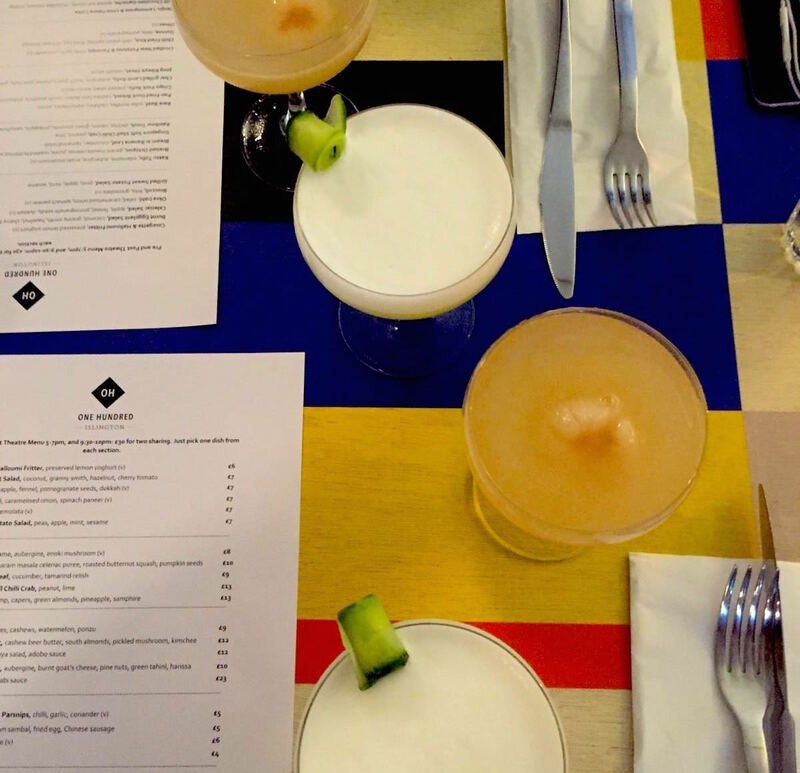 If you have a bit of a sweet tooth, we’d definitely go for the Lychee & Grapefruit Martini. 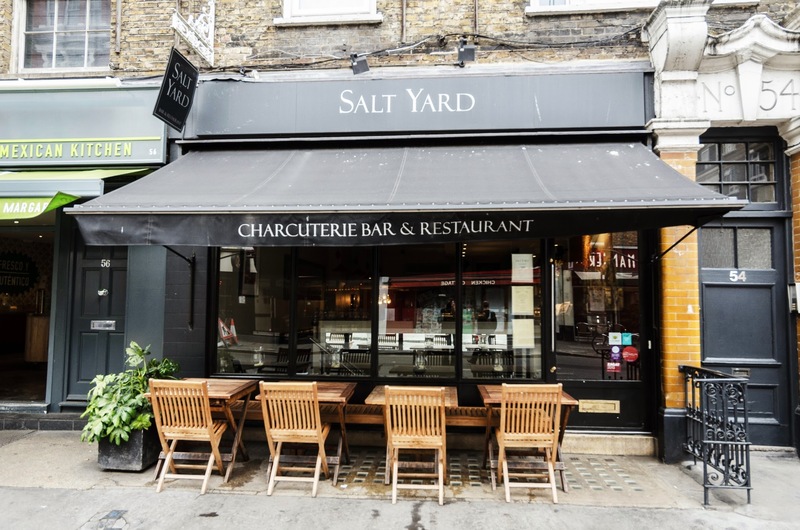 Combining a taste of both Spain and Italy, Salt Yard take a simple approach to food and it’s simply delicious. Courgette flowers stuffed with goats cheese and honey, one of their signature dishes, is an ultimate treat for the tastebuds. As you’d expect from a Mediterranean restaurant, there’s plenty on the menu for seafood lovers, including spiced white crab served with wood grilled peppers. 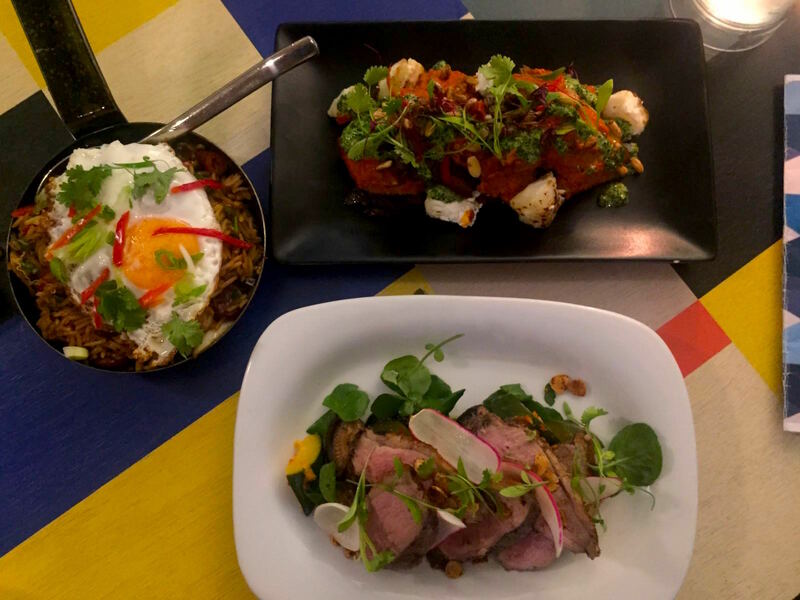 You can also visit Salt Yard’s newer and smaller little sister restaurant, Ember Yard in Soho, which we reviewed last year. Although not cheap, El Pirata’s menu is not on Mayfair’s usual painful price range. Dish prices range between £4 – £13 and portions are generous. The plates may not be the most aesthetically pleasing tapas dishes you’ll come across in London, however they don’t disappoint in flavour. 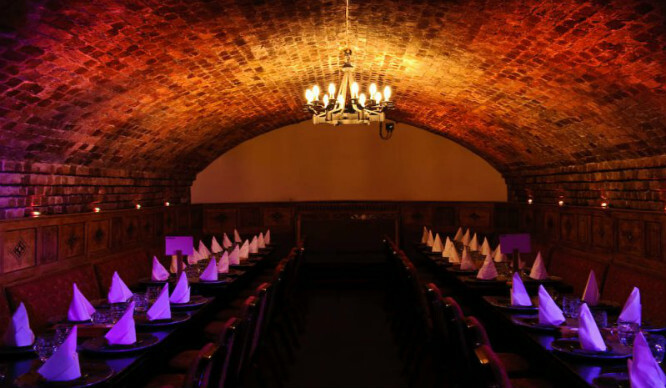 The restaurant, which is made up of a bar and dining area and further seating downstairs, offers a vibrant atmosphere and at peak times the tables fill up fast. You’ll expect to see a lot of men in suits and ladies who lunch, but you’re in Mayfair darling. London Rebels Are Defying The New Tube Rule And It’s Hilarious!